Hey Penguin-Friends! I know everyone is exited to know who are the nominees for the Penguin Choice Awards 2015. During the Preliminary voting, we received more than 400 submissions and registered more than 300 pre-nominees! However, only the 6 with more votes will move to the next stage. We also removed 4 categories that did not get enough pre-nominees. These are "Favourite CP Radio Station", "Favourite CP TV Broadcaster", "Favourite Blog Award" and "Favourite Club Penguin Series" We also merged "Favourite Spanish CP Blog" with "Favourite Portuguese CP Blog". Now here is the Penguin Choice Awards 2015 official nominee list. Congrats to all of the nominees! 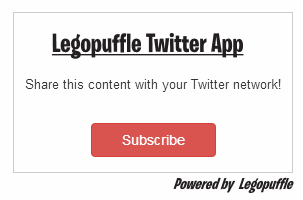 To receive your invites to the award show, please contact us on twitter (@Legopuffle) or in the Contact Us page of the site! If you did not get nominated but you want to go to the award show, don't worry! We are raffling 5 invites!The details will be on a post coming soon! And, even if you don't win, you'll be able to watch the LIVE streaming of the show on Puffle Vision! You'll be able to send last minute votes via SMS to them!!! Awesome right? Get ready, because the Penguin Choice Awards 2015 voting phase has started.